What is a Shingle Roof? Roofing shingles are flat or curved tiles that interlock or overlap in a way that channels water off of a pitched roof. They are made from materials that vary in cost, weight, durability, color and style. Roofing shingles are generally comprised of a material that is locally available. A shingle roof should only be used on roofs with enough pitch to shed water into the gutter system by gravity alone. For flat roofs, other options must be employed. There is no difference between a ‘shingle roof’ and a ‘tile roof’, besides what is vernacularly common. Asphalt is the most common type of shingle roof in the United States. They are inexpensive, easy to install, come in a variety of colors and last about 20 years. Clay tile roofing has the longest life expectancy of any traditional roof covering, generally around 100 years or more. These distinctive tiles were first popularized in New York and Boston during the Colonial period, due to its fireproof qualities. Today, clay tile roofing is most commonly found in Florida and California, where Spanish and Mediterranean influenced architecture dominates. Metal roofing is a long-lasting, green and safe choice for your home. Although commonly installed in vertical panels, today you can install a metal shingle roof designed to emulate clay, slate or wooden tiles. 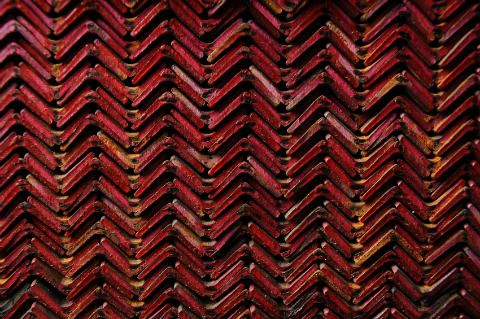 Metal tile roofing is available in a wide variety of colors and materials. A wood shingle roof is made of thin, tapered pieces of wood. They are most common in the American colonies. They can add a distinct design element to your home, although they are not recommended for fire-prone areas. They last about 15 – 30 years, depending on the wood and your climate. Rubber roofing is one of the most eco and budget friendly choices available today. A shingle roof made of rubber can be designed to look like slate, asphalt or cedar. A properly installed rubber shingle roof should last around 30 years. Properly installed and maintained slate tile roofing can easily last 100 years. Slate is a natural stone that originates from clay and silt deposited on ancient sea beds. Slate roofing has a long history in the United States, and still adorns many federal buildings and national landmarks.